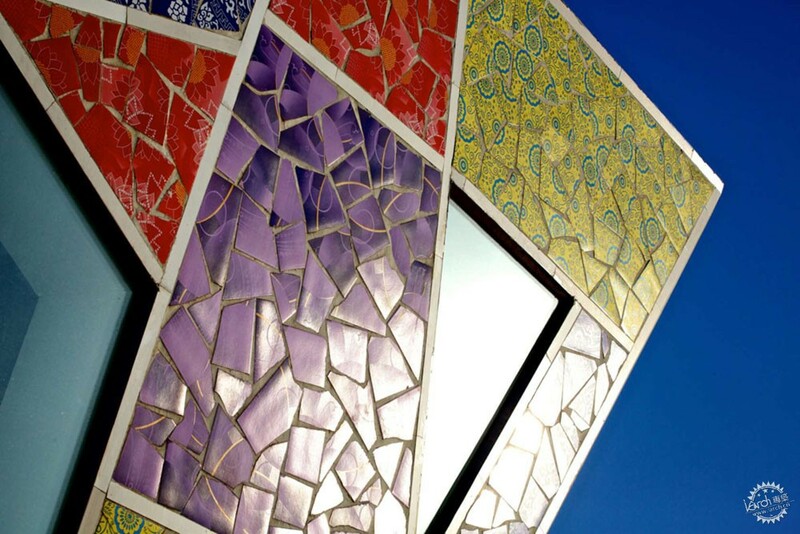 Today marks the first day of spring in the Northern Hemisphere! 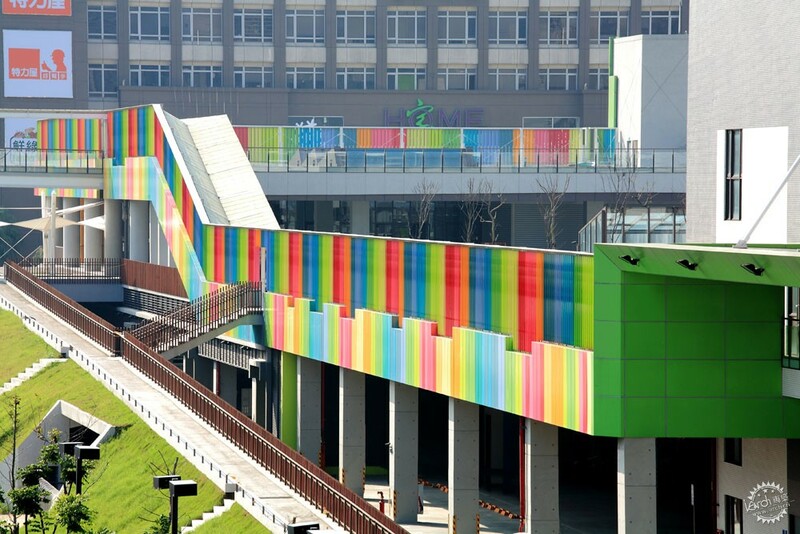 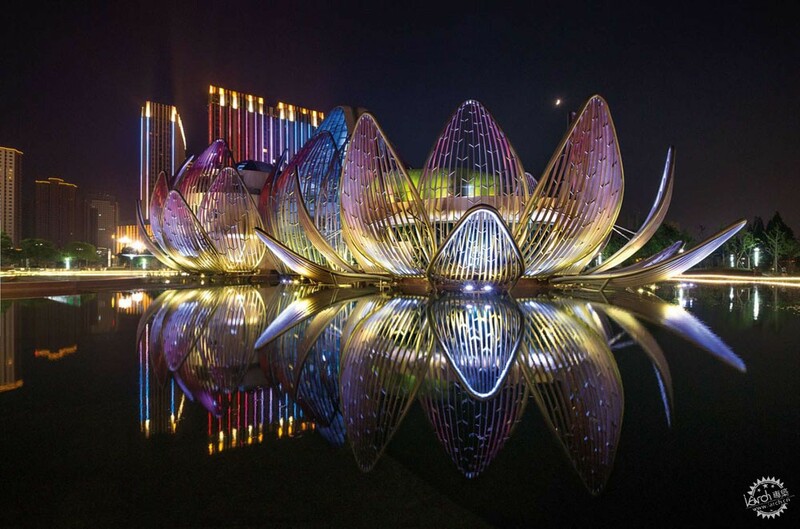 In honor of the occasion, check out this colorful bloom of architecture inspired by all manner of flora and fauna. 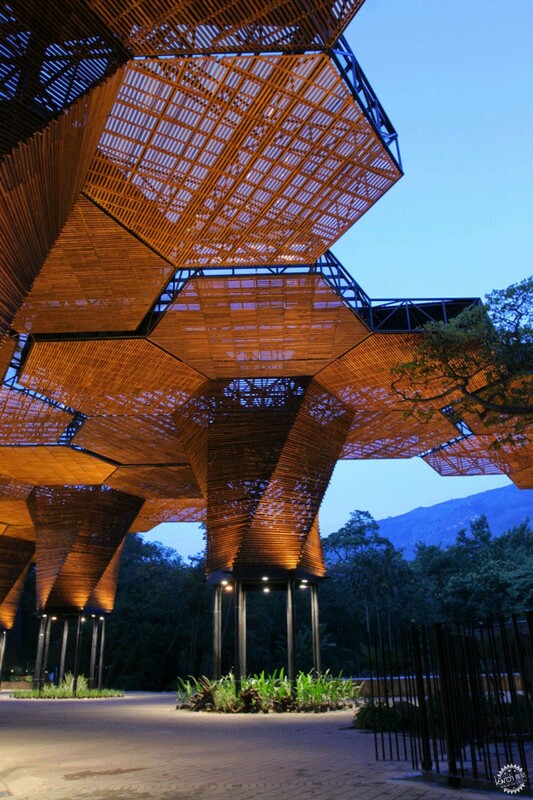 Native flowers and the canopies of trees inspired the biomorphic towers of this botanical garden in Colombia. 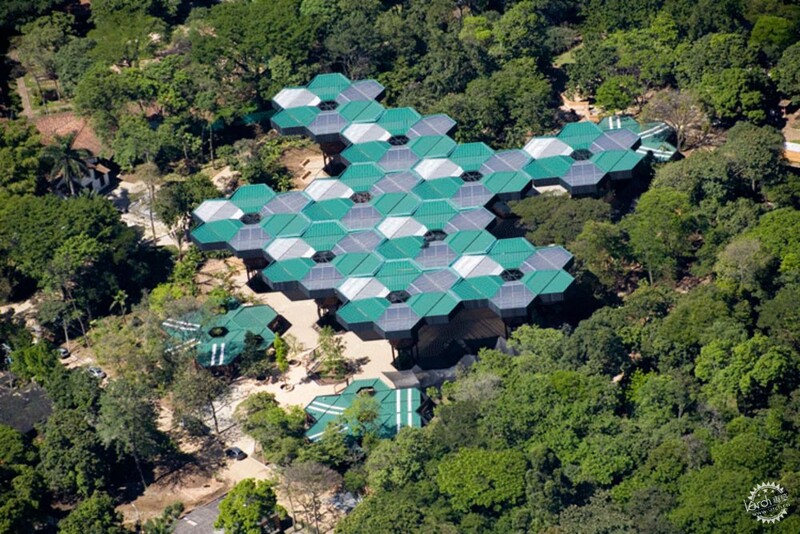 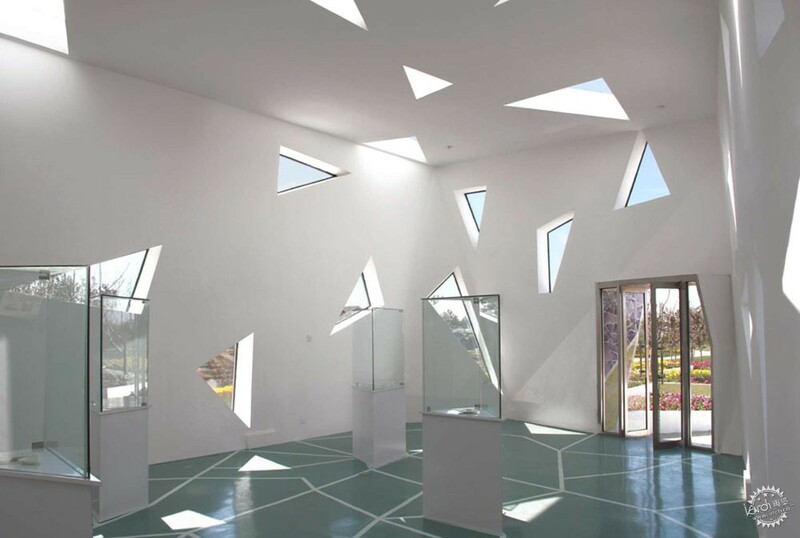 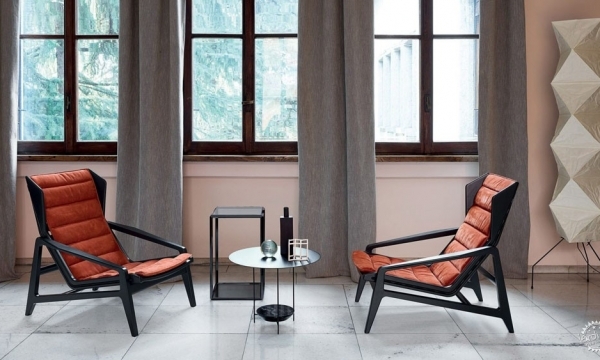 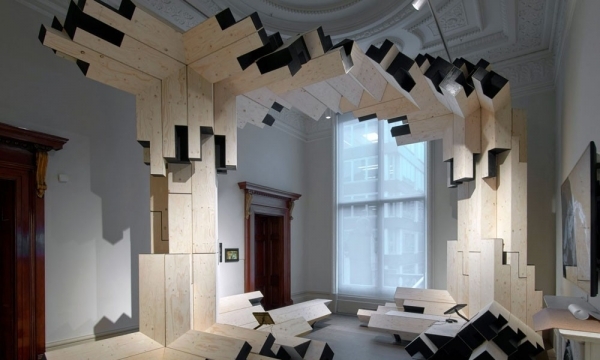 The hexagonal form of each panel increases the collective stability of the structure influenced by the natural tessellations of wild honeycomb. 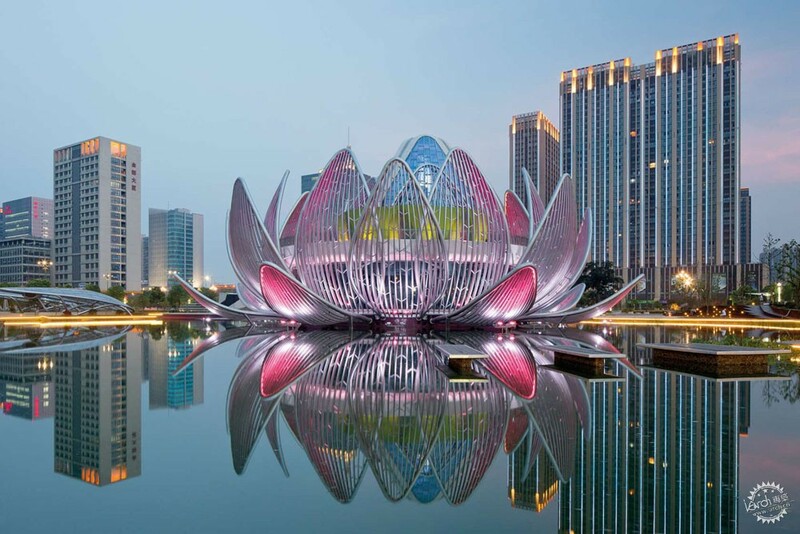 The opalescent Lotus building takes inspiration from the lotus in its three states, from “the new young bud, to the full ripe flower, through to the opened bloom with a seed pod within.” This flamboyant architectural spectacle is only emphasized by night, when a complex lighting system turns the building fuchsia, then golden yellow, then aquamarine. 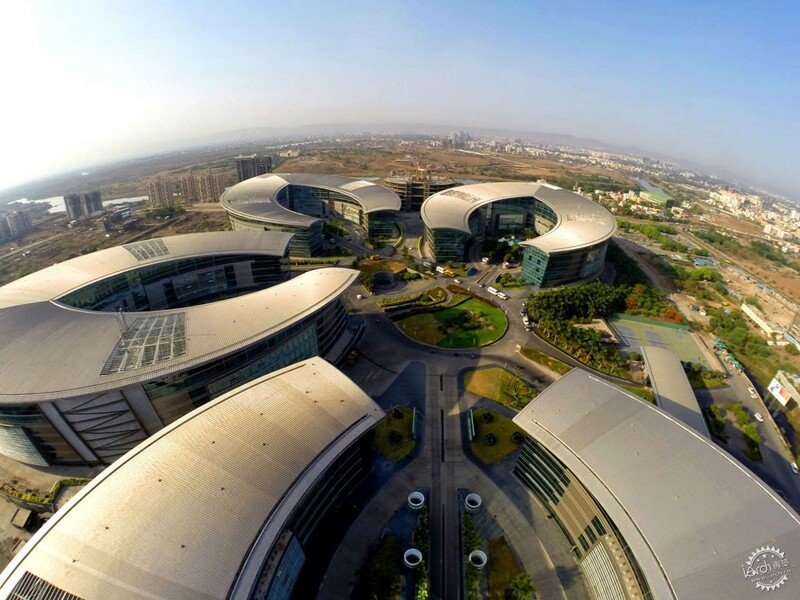 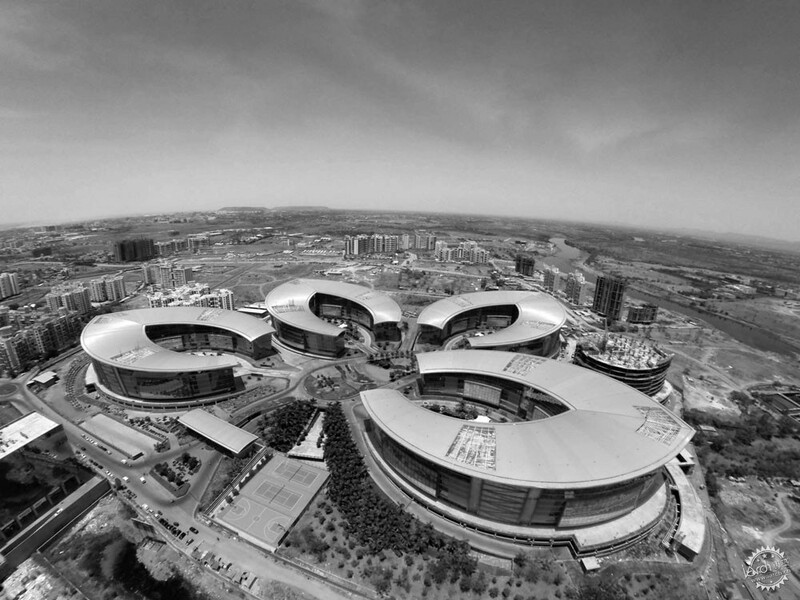 The curving forms of this commercial complex are inspired by the petals of India’s national flower, the Lotus Blossom. 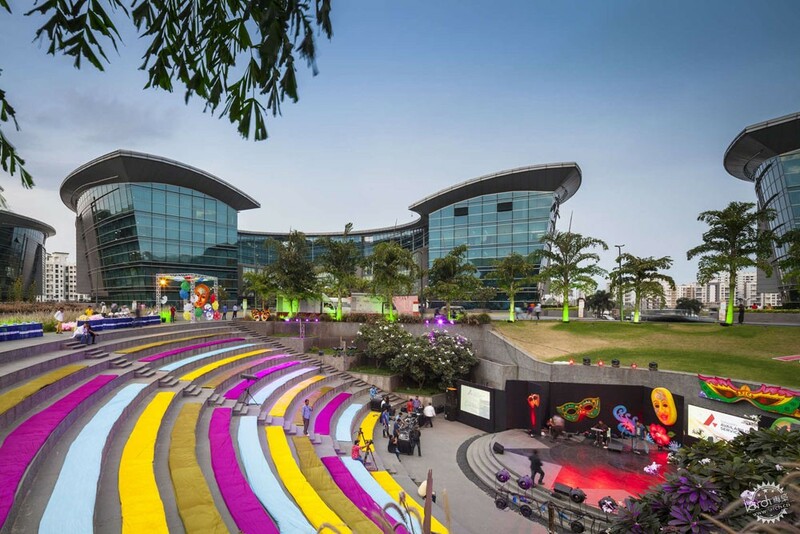 The four glass-and-steel buildings emanate out from a central plaza, which contains an outdoor amphitheater for music performances. 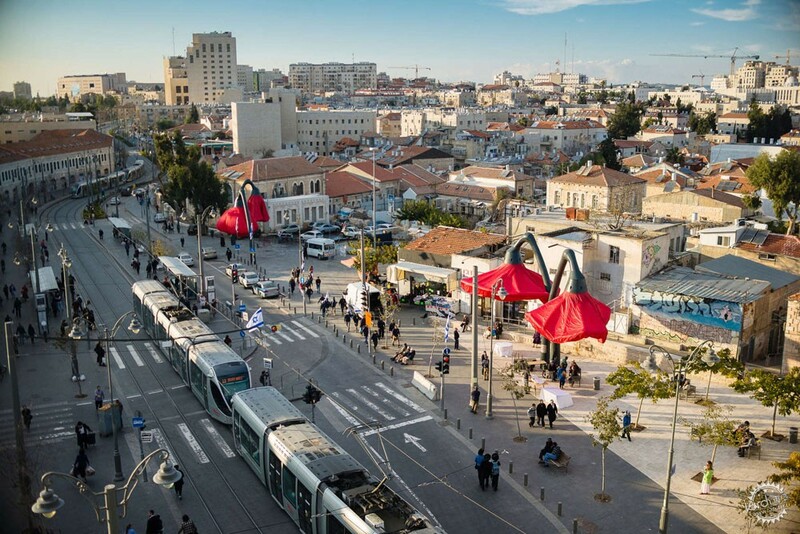 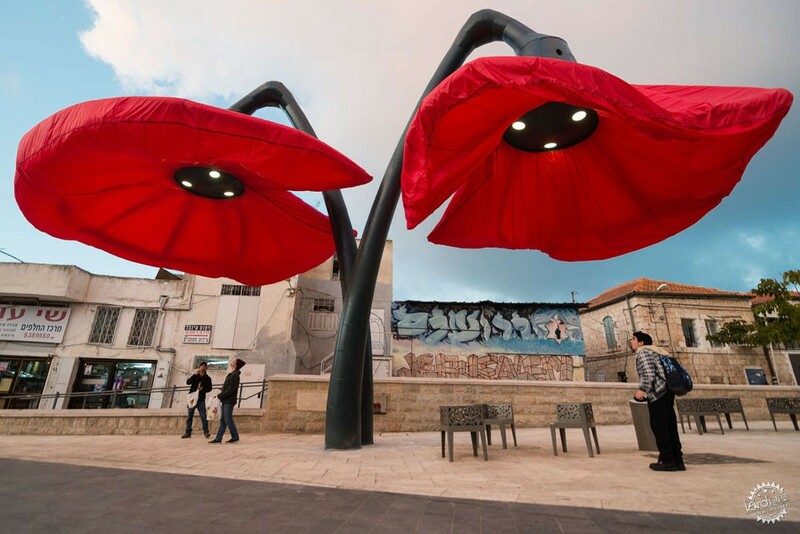 This urban installation in Jerusalem can’t be classed as architecture per se, but it provides ample shade and shelter from the rain along one of the city’s main thoroughfares. 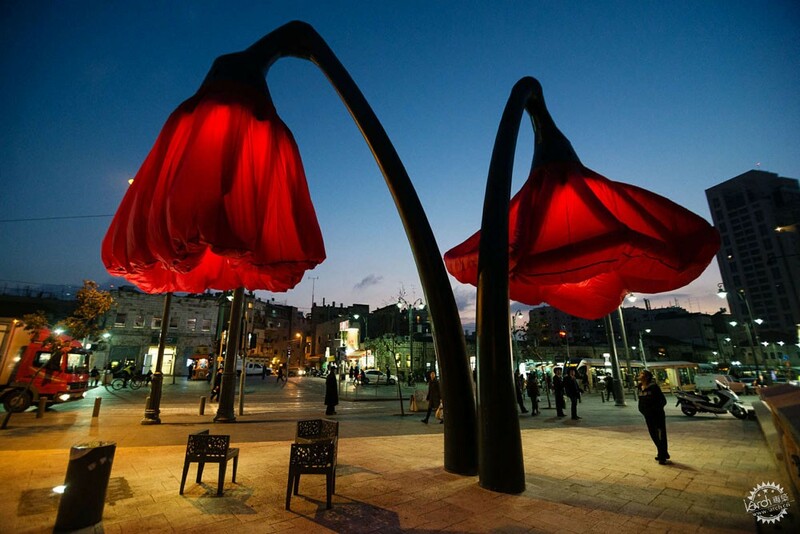 The inflatable flowers are 30 feet high and 30 feet wide and their fiery red petals slowly open whenever a pedestrian lingers beneath them. 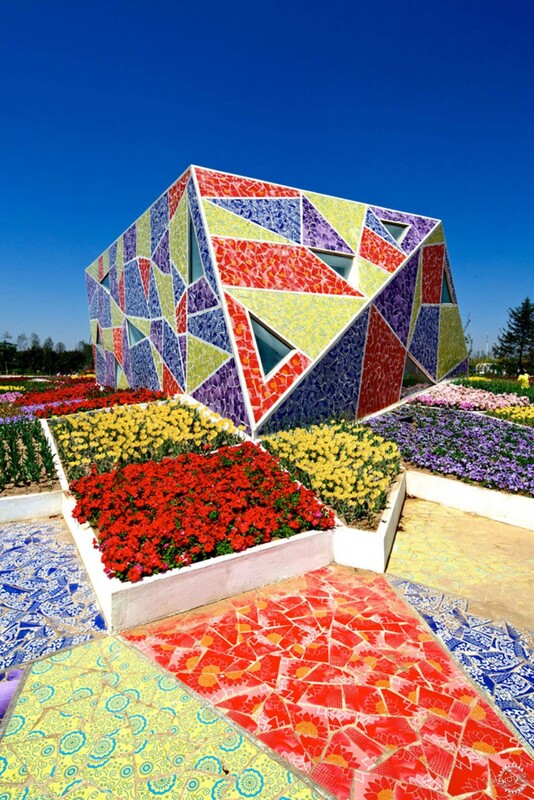 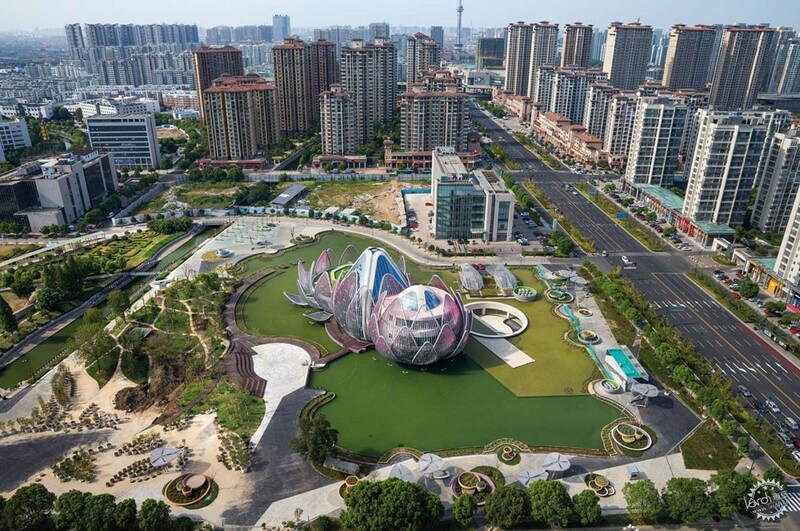 Built in 2013 in time for the World Landscape Art Exposition in China, the mosaicked walls of this pavilion are covered in a riotous display of color, their fragmented tiles echoing the multi-chromatic blooms of the surrounding flower borders. 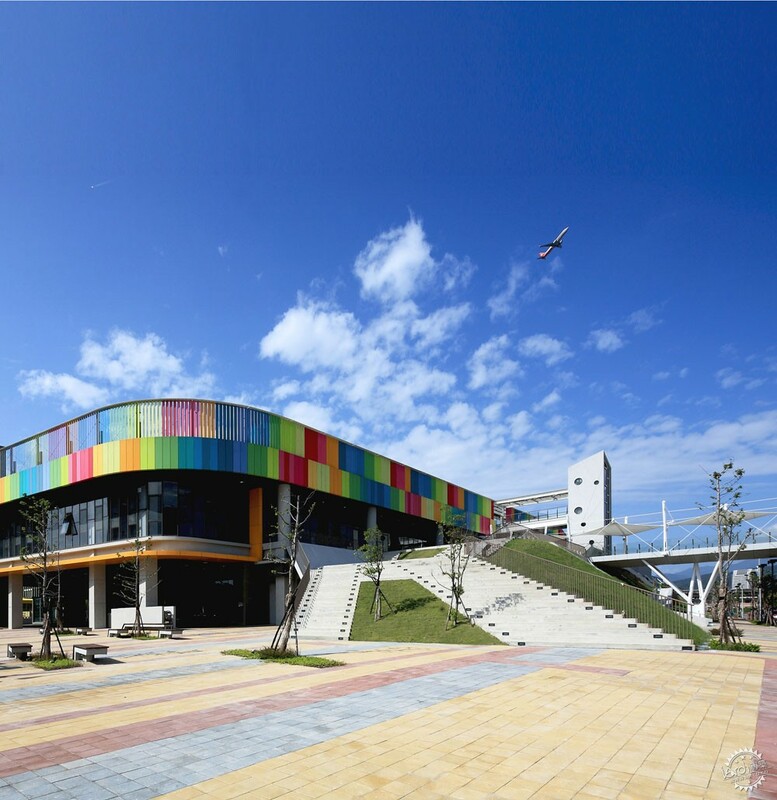 This A+Award-winning commercial and retail marketplace was redesigned from the ground up with an eye-catching façade system (to stand out amid its industrial context) and functional design elements throughout. 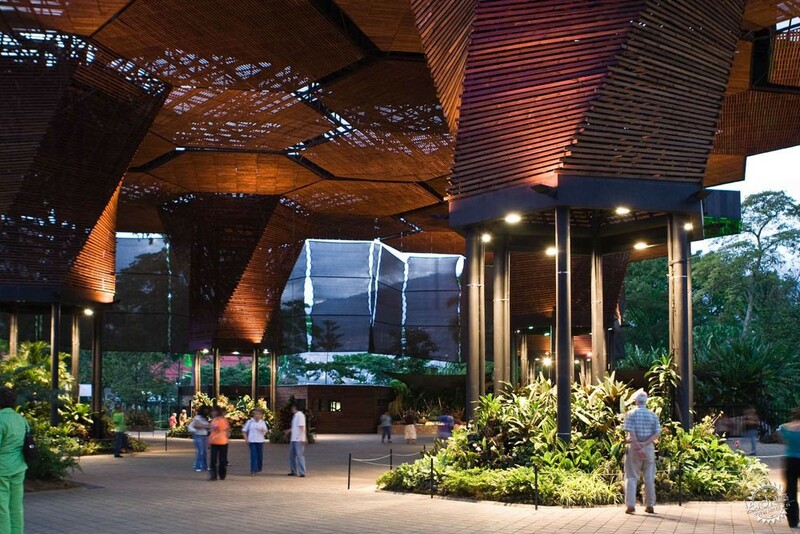 In addition to the shops, offices, and storage and distribution areas, it even holds a greenhouse.